Looking for a great pet-friendly California vacation? Humboldt County’s Redwood Coast is ‘Dog Friendly’, with trails for exploring our redwood forests and beautiful beaches for romping along the Pacific. We would love to invite your four-footed family member to stay with you in one of our pet friendly rooms at Fortuna’s Redwood Riverwalk Hotel. Fortuna’s Eel River Overlook and Riverwalk is just a minute’s stroll from The Redwood. Your dog (and you) can wander along this two mile path beside the Eel River. Depending on the season, you may see winter’s powerful flows, or the placid way the river meanders through gravel and sand during the heat of summer. The Riverwalk is a great place for spotting all kinds of wildlife, from birds like Blue Heron, osprey, and ducks, to river otters and deer. Dogs love trees, and you’ll find redwood forest trails right in the heart of Fortuna in Rohner Park on Park Street. The Park is just two miles from the hotel. You and your canine buddy can hike through about two miles of one of the best preserved and easily accessible second growth redwood forests in Northern California. In addition to redwoods, Rohner Park Trails feature a complex undergrowth of native shrubs and herbs. These quiet, safe surroundings are a perfect place for you both to enjoy a walk in the woods. Fortuna’s Dog Park is Fortuna’s third place for some fun with your canine family member. It’s located less than a mile from The Redwood, at 100 Dinsmore Drive, and is open from 7 am until 9 pm. You’ll find separate areas for small dogs less than 25 pounds and larger ones, plenty of water, balls and other things to play with for off-leash fun. Human companions can relax at the picnic tables and chairs provided for their comfort. Fortuna is just the beginning of all the different places for you and your canine family member will want to explore along the Redwood Coast. Download the map on our website that shows all the different ‘wild places’ you can explore with your dog in Humboldt County, including information about dog regulations on different trails and at different parks and beaches. Trail Link also has information about five different dog-friendly trails in Humboldt County. At The Redwood, canine family members can expect the same comfort and service as our two-legged guests. Please call us directly to book a pet friendly hotel room, and review our pet policy. 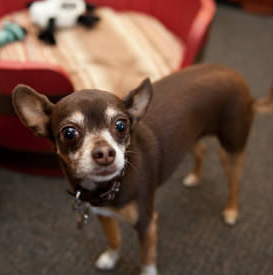 Stella, our resident Chihuahua innkeeper, has a pet-degree in canine hospitality, and will have a welcome gift waiting for your dog. She wants to remind you that a California Redwoods vacation should be on every dog traveler’s bucket list! 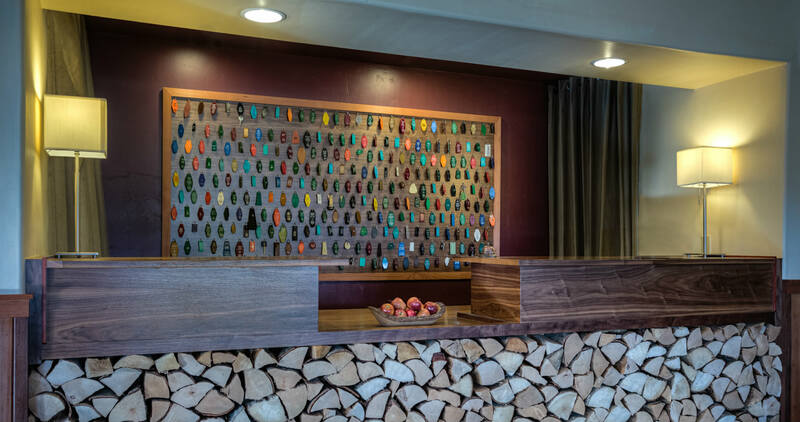 This entry was posted in General, Uncategorized and tagged dog friendly hotel, dog friendly lodging, Humboldt County, Humboldt County pet friendly room, Pet friendly hotel, Redwood Coast pet friendly room by admin. Bookmark the permalink.